If you think I am going to make an anagram for "Anne Finch, Countess of Winchilsea," well then… you’re going to have to wait until I can recline on a couch with a glass of Bushmills and a notepad, which may take a couple days. Nonetheless, Anne Finch (1661-1720) was from an esteemed Hampshire family, and served in the court of Charles II. There she benefited from the inflluence of other women poets such as Sarah Churchill and Anne Killigrew. There she met the 5th Earl of Winchilsea, Heneage Finch, who courted her. The couple’s steadfast support of James II made for an exciting early part of the marriage, which survived James’ deposition and the installation of William and Mary. They lost their government posts, but Anne’s interest in writing took off. Her work not only copied and mastered the established forms, but participated in the movements of her day, with novel vocabulary and metaphysical preoccupations. 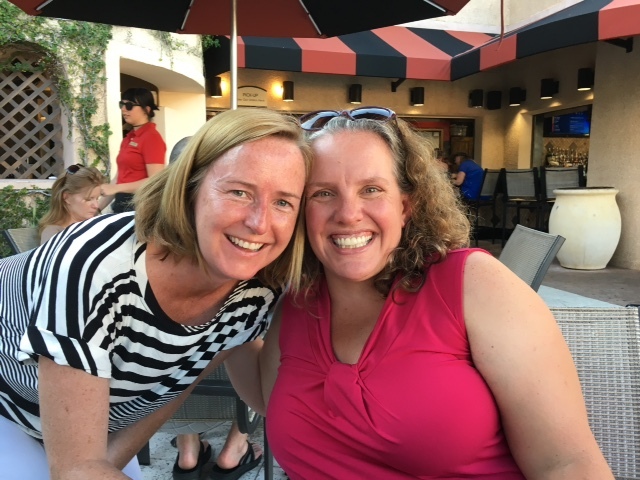 Today’s poem celebrates 2 long-time MVers, long-time friends themselves, who happened to meet quite by serendipity in Orlando over the weekend! -ed. Eph. What Friendship is, Ardelia show. Ard. ’Tis to love, as I love you. Suits not my inquiring mind. But ’tis to love, as I love you. Last night I sought the lost scout in my dreams. sobbing amid a maze of braided streams. yards from a hummock which two pathways crossed. and I confuse the searcher with the lost. You may have seen the following poem recited live last night. I saw it described as a sonnet, so I attempted to give it line breaks that make it look like one. We dedicate it to everyone the author, Lin-Manuel Miranda, seemed to invoke in his emotional reading. And I’ve given it a provisional title. -mjl.